Pale emerald green with a pink sun kissed cheek. Flavor notes include a tart/sweet flavor with a mild sweet finish. Perfect for fresh cut with your favorite dip, cooking and especially a saucing blend. The Granny Smith was discovered by chance in 1868 in Australia. It is thought to be a hybrid of the "European Wild Apple." Did you know? 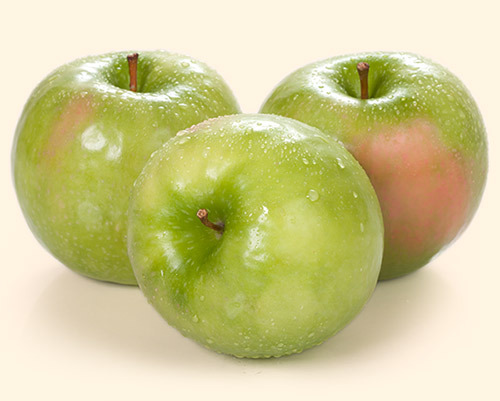 The Granny Smith was named after Maria Ann Smith, a British/Australian orchardist.